Story: The film centers on a Hong Kong cop determined to bring down a ruthless Hong Kong crime lord. 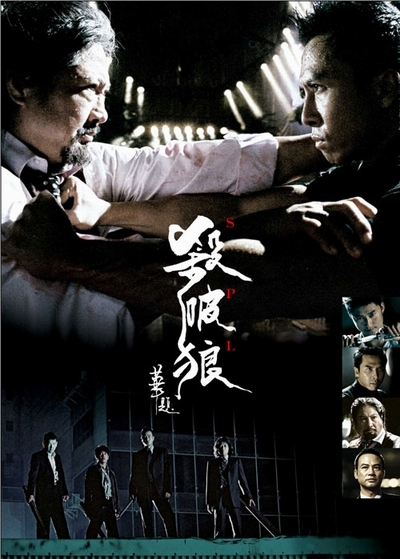 The film's Chinese title, "Sha po lang," refers to the three Chinese astrological symbols qi sha (killing), po jun (obliteration) and tan lang (avarice). A crimelord (Sammo Hung) covers his tracks so well that he always gets away from all crimes he does, assisted by four fast-talking English lawyers. A professional assassin (Wu Jing), who never fails on his assignment, appearing out of nowhere. Four policemen so eager to nab the crimelord that they will stop at nothing, insofar as taking justice into their own hands. Standing in their ways is a new police inspector (Donnie Yen) who goes strictly by the book. Thus begins an intricately woven high-octane action thriller that is full of complications, of explosive actions, exhilarating car chases, intense shootouts and realistic fist to fist combats.